"Life moves pretty fast. You don't stop and look around once in a while, you could miss it"
A cliched yet classic cool quote from the late great John Hughes's masterpiece "Ferris Bueller's Day Off" really rang true today for me in regard to my MTV years (1988-2000). 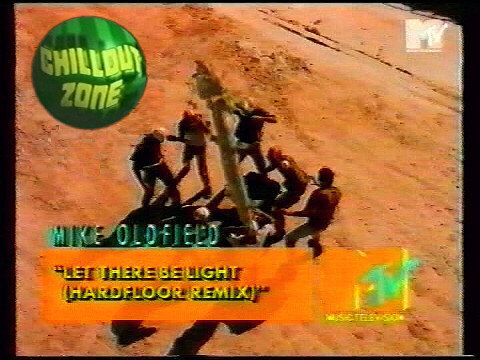 MTV was in my thoughts as I'm DJ-ing this weekend at an MTV party with some real 'old skool-ers' sure to be there and this morning I had breakfast with former MTV presenter Steve Blame discussing some film projects so, inevitably we both reminisced and the memories always bring a smile to my face; we both confirmed how crazy those MTV times were in terms of creative freedom. 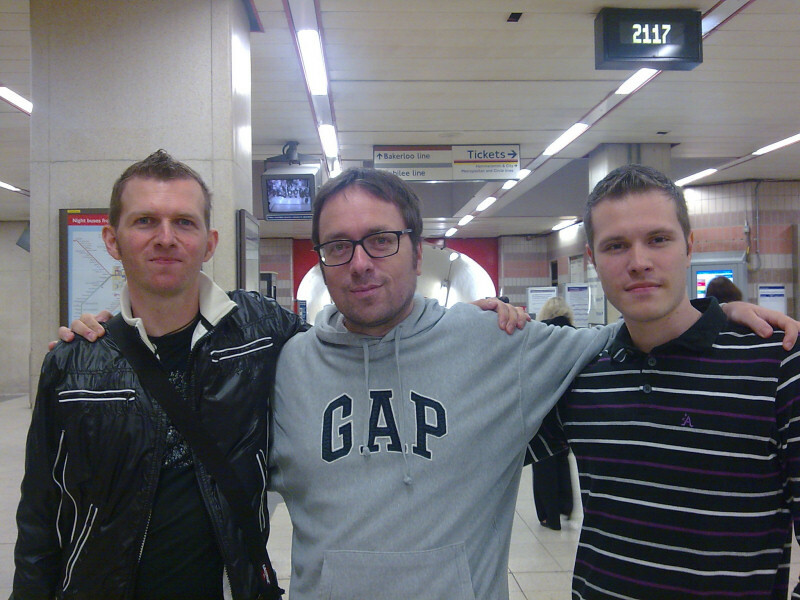 This was all reinforced again later in the day after some meetings, when I was totally touched & humbled by hooking up with Alex Belfi& Filippo Zuech, 2 long-time Italian fans of my MTV Party Zone/Dance shows. Filippo, now 23 was hooked back in '88 aged 9!) and Alex, more in line with my age (!) got my utmost instant respect with solid geek credentials that included a collection of over 40,000 hours of taped TV!! Alex & Filippo were visting London and had e-mailed to see if I would be willing to hook up for a chat about the 'MTV Party Zone/Dance' years and maybe fill some gaps in their VHS collection of shows!! Their recollection and intricate knowledge of all those classic club clips got further props. We shared pop-culture passion & remembered those MTV 'golden days' and I kept having to "stop to look and listen around" because Alex & Filippo triggered memories not just from all those music videos, interviews etc, but also from recalling how working at MTV was back in the day; the process of putting together shows - the playlist meetings that often featured friendly fights with bosses over what I wanted to programme in my shows, scouring through & sourcing fresh videos, frantically getting them 'carted' on 'Beta', raw show-features like 'Flyer Of The Week' (! 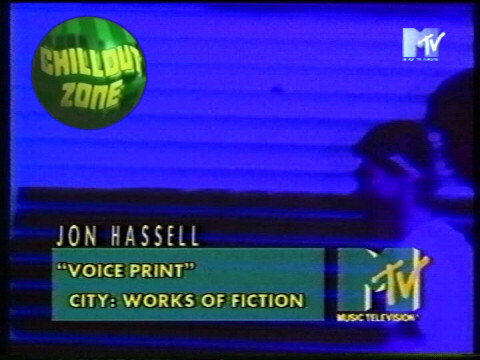 ), early days of scribbling my running orders on scraps of paper and handing them to Rosemary Stock who was the cool MTV mum back then plus all those mad letters from fans in war-torn countries being bombed who seemed to be more concerned about getting their 'Party Zone' request played then what potential dangers engulfed their environment! Again, being reminded of all that freedom & creativity I had producing those shows to an audience of 60 million+ households made me pause for the cause!! The irony nowadays is that with so much choice (Facebook, YouTube, Video Games, Spotify etc. 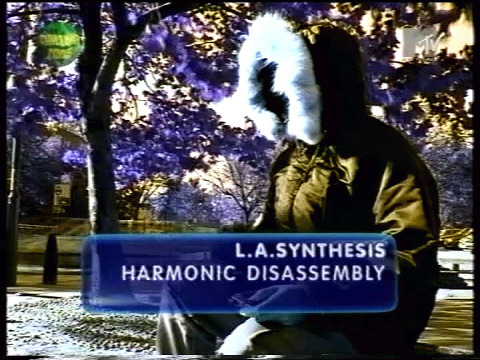 ), the 'soul' of sharing all this cool new stuff via a major media outlet like MTV has somewhat evaporated into a kind of 'very limited automatic playlist mode'; a topic that I'll happily & enthusiastically debate at length! So here I am again, we just got back home. First and foremost, thank you once again for those 2 quality hours we spent together yesterday! We REALLY appreciated that. We're looking forward to seeing you again, hopefully pretty soon, and possibly making a tour of the MTV building!!! I just read your latest post, cooool stuff man! I'm glad that Alex and I managed to trigger all those beautiful memories of yours. It felt so weird for us to "finally" meet the great guy who shaped our taste in music - and not only... It's incredible how like-minded we are. If you still worked at MTV, I'm sure you'd be the best boss anyone could wish for - and the channel(s) would be much better, of course. Actually, I think there was a typo or something in your post: being born in late 1985, I turned 9 in late 1994 (not 1988). Anyway, weird as it sounds, I discovered the Party Zone even earlier. I definitely remember watching it in 1992 - a.k.a. the year I turned 7 - and loving stuff like Shut Up And Dance's "Derek Went Mad", hehe! Please find attached the second picture we took yesterday. I've resized it because it was huge. I'm glad you came up with the idea of taking a second pic, as the first one turned out to be too dark, grainy and slightly out of focus (what a combo!). Here's Alex. Thanks a lot for the wonderful post on your blog about our London meet. It has been such a great thing. It's so nice to have someone to talk to about Acen, Stakker Humanoid and our passion for music and videos. And your "Super-Hearing" CD is absolutely great, some bits are genial, and some combinations are just funny and original! I found the e-mail I sent you in January, probably you never received it. 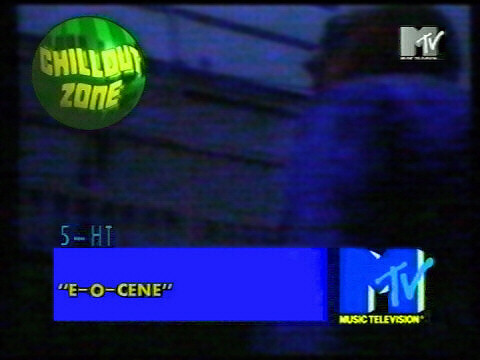 It was about Party Zone on MTV European and the week they played two of your megamixes. 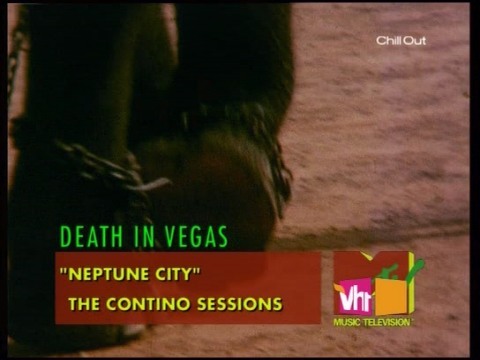 As you probably know MTV stopped broadcasting those great megamixes around 2003-4. 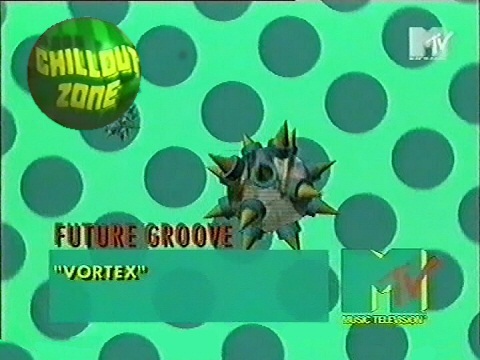 By the way, MTV European is the name of MTV Europe since 2002. 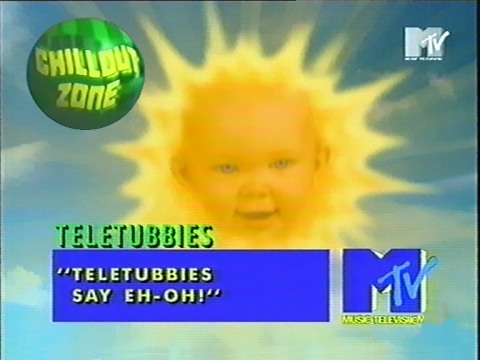 With the progressive regionalization of the main channel, MTV European is now only officially available in a bunch of countries, that is the Czech Republic, Slovakia, Bulgaria, Albania, Malta, Luxembourg and Iceland. This will change by the end of November with the launch of MTV Czech&Slovak. 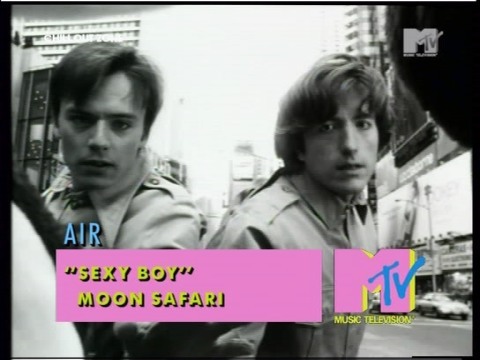 I managed to get access to MTV European, because it is english-speaking, although they don't talk too much, and it still has a (tiny) bit of the old feeling, and also because generally I want, and need, to get access to as many channels as possible, not just to watch them, but also, and especially, to analyze them and record material. Anyway, after our beloved Simone left PZ, the show has never been the same again, and not simply because of her presence, but also because of the quality of the music played, and I'm not talking about MTV UK, which was still very good, I'm talking about MTV Europe, Italy, Germany, etc. Since Simone was not there anymore they started splitting PZ into separate PZs for those local channels. Still, a lot better than today, but everything started going downhill. 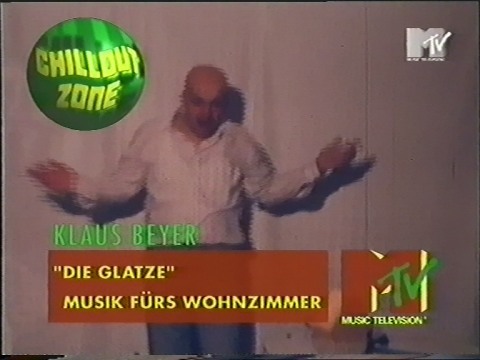 The show became impersonal, videos were repeated too many times, week after week, everything was less exciting, and mainly because MTV started a different playout, and shows were different on each regional channel, which was a very annoying thing to me, although being lucky to be able to watch all of them. The only exception in that annoying situation were your wonderful megamixes Vol.1 to Vol.47 (parts 1 & 2), which were still played on all MTV channels. Too bad it was just for one week, although some cheesy dancey pop videos are there anyway. Also attached is one screenshot taken from the megamix played on the PZ in January 2009. I've also checked out your CD and it's way cool man, great job! It's not like I had any doubts about it anyway. I especially like the Art Of Noise vs. Kanye mashup!!! THE MUSIC OF HILDEGARD VON BINGEN - "Vision"
- last but not least: LA Sythesis, the stunning track from 1997 that Alex and I re-discovered almost by chance while watching one of his old tapes a couple of weeks ago - the bassline on this track drives me NUTS. We can't wait to see you again, so that we'll discuss even more great stuff - and you'll tell us more anecdotes from those crazy days! Woooaa, that's awesome! Your blog is slowly but surely becoming some kind of "strap museum"! 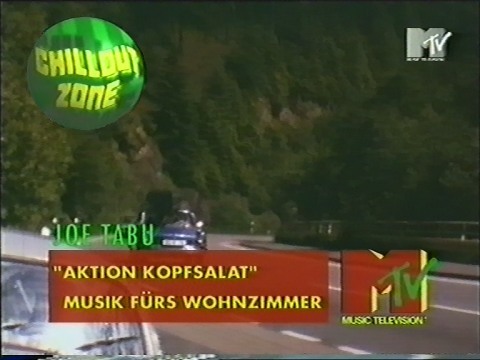 alongside another ace video by Joe Tabu taken from the same compilation and played on the same week as Klaus Beyer. I just found the pic you posted on twitter from last Saturday's party. Nice stuff!! !